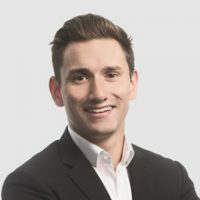 Ian Ducharme joined Flinn Ferguson Cresa in 2018. Ian started his commercial real estate career working with Colliers International Hong Kong in the corporate solutions division. After working in Hong Kong, Ian joined Colliers Bellevue office where he predominantly supported institutional landlords on the listing side. He then moved to Savills Studley in 2016, focusing on industrial clients. His time in Hong Kong gave him a full understanding of the value that occupier services teams bring to multinational corporations. His experience representing both industrial tenants and landlords in the Puget Sound region gives him key insight on the industrial leasing process. Ian desires to pursue a business model oriented towards tenant representation on a portfolio basis. Ian graduated from the University of Colorado at Boulder with a Bachelor of Science degree in political science. In his spare time, Ian coaches youth lacrosse in Seattle.